Arrowtown is the gateway to an amazing network of walking trails. With over 15 tracks to choose from you’ll find something just right for you. You can wander shady forests, walk around a mirror lake, explore deep into the rugged mountains or stroll beside the river. A local favourite is the Sawpit Gully Trail, a track that climbs steeply into the hills and offers mountain streams, waterfalls, historic sites and views of the Wakatipu Basin. Fit, well-equipped hikers can follow more challenging routes up to Brow Peak, Advance Peak and Crown Peak. 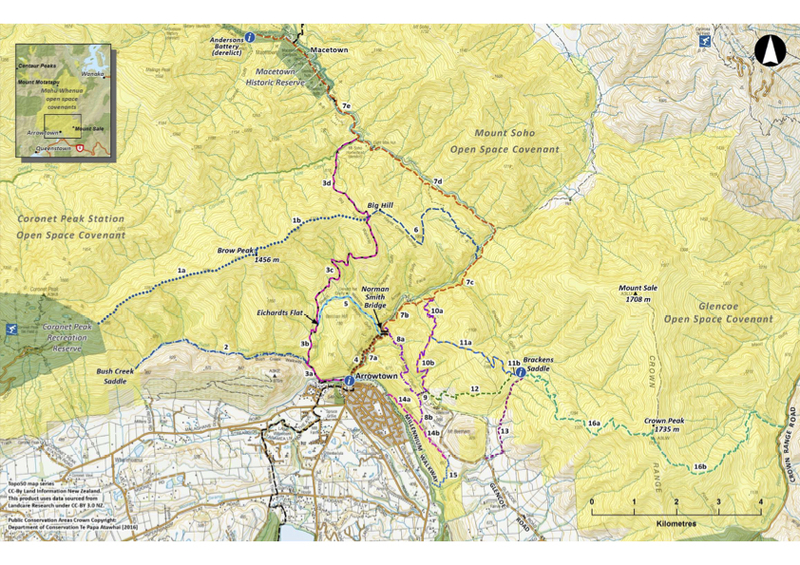 Mahu Whenua, the high country behind Arrowtown that is covenanted to the QEII National Trust, has a growing network of walking tracks that now extends to Macetown and almost to Coronet Peak. For more information about walking options, visit the official Arrowtown website or drop in to the visitor centre at the Lakes District Museum in the main street.